In his role as Co-founder and President of Rollick, Inc. Amit is responsible for the general management of the business, with a focus on enterprise sales, operations, product, technology, finance and overseeing Rollick India. 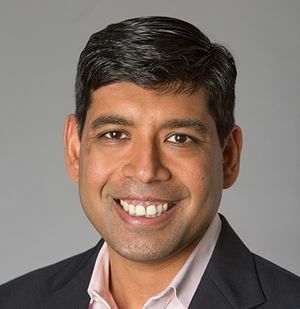 Prior to Rollick, Amit was Sr. Vice President, Global Enterprise Solutions at Cox Automotive ($7B+ revenues) where he was responsible for Cox’s OEM, Captive Lender and affiliated clients globally. Prior to Cox Auto, Amit held various operational roles at Dealertrack (which was acquired by Cox Auto in 2015) including Sr. Vice President of Strategy, Corporate Development, OEM relations and Business Development. Before that, he was General Manager for the Chrome/ALG/Data business then owned by Dealertrack. While running Dealertrack's Data Services, Amit co-envisioned and incubated Dealertrack’s Digital Retailing efforts (an industry first). Amit became part of Dealertrack by way of acquisition of AutoStyleMart, Inc., a company he co-founded in 2005. AutoStyleMart used 3D technology and content to help auto-dealers sell accessories during and after the vehicle sale process. Prior to the Dealertrack and AutoStyleMart, Amit was co-founder and president of i-Vantage, Inc. a consultancy and outsourcing services company focused on the automotive, healthcare and independent software verticals. Clients included blue chip companies such as ADP and Baxter Healthcare. Amit started his career at General Electric Company as part of their Information Management Leadership Program and progressively moved to mid-management positions within their healthcare business. In addition, Amit advises technology/data enabled startups. He as been associated with the successful exits of Mainspring Healthcare (acquired by Austin based Accruent) and BNK eSolutions (acquired by OnProcess Technologies). Amit holds a Bachelor’s degree in Electrical Engineering from Marquette University, WI and a Master’s degree in Business Administration from Columbia University, NY. He has enjoyed global work experience in Asia-Pacific, Canada, France, Germany, India, Japan and the UK.